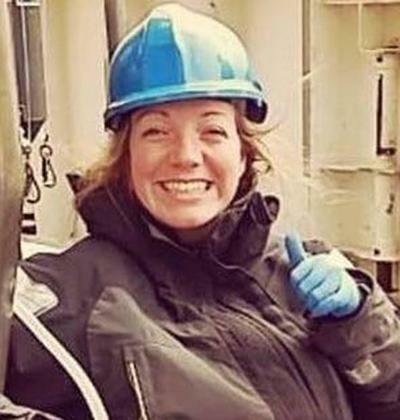 Miss Stacey Felgate is a postgraduate research student within Ocean and Earth Science, National Oceanography Centre Southampton at the University of Southampton. 2017 – BSc (Hons) Marine Science (First Class) awarded by the Scottish Association for Marine Science (SAMS). Thesis: ‘Using isotopic modelling to determine the viability of a saltmarsh blue carbon store’. 2017 – Environment Agency Internship, working across the Estuarine and Coastal Monitoring and Surveillance (ECMAS) and Marine Monitoring and Strategy (MMS) teams to deliver analysis and synthesis of observational chemicals data, and advise on the ongoing remodel of the agency’s coastal monitoring system. 2016 – Woods Hole Oceanographic Institute (WHOI) Summer Student Fellow (SSF), working with the US Geological Survey to quantify dissolved inorganic carbon export from an East Coast US salt marsh. 2016 – On board carbon sampler during the 2016 Extended Ellet Line (EEL) month long UK – Iceland – UK transect. 2014 – Carnegie Trust Vacation Scholarship, used to research the fate of carbon dioxide emanating from a simulated North Sea carbon capture and storage (CCS) facility leakage scenario. My research is interdisciplinary, and takes from biology, geology, chemistry, social science and policy to investigate what happens to carbon when it enters the world’s coastal zone, and how we might support the coastal carbon cycle to mitigate climate change. I am currently interested in producing an isotope model to determine the stability of a saltmarsh carbon store, studying the national marine ’blue carbon’ inventory, and investigating the microbial interactions which occur when man-made carbon sources enter the coastal ocean. Research Project: Quantifying biogeochemical links between land and ocean: closing a major gap in the global carbon cycle.